Almost the entire lettings industry has viewed the upcoming ban on tenants fees levied by agents in England and Wales as bad news - but now a sharply different view has emerged. 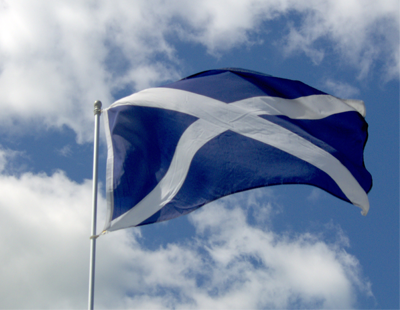 The people behind the property management consultancy Apropos, operated by DJ Alexander Ltd, says the more regulated Scottish market means that Scotland could be the model for future letting in the rest of the UK. What’s more, the system north of the border is better and fairer, and agents who embrace it are thriving, the consultancy claims. The regulations in the forthcoming Tenants Fees Bill in England and Wales have been in place in Scotland since 2012; the no fault grounds for eviction notices no longer exist in Scotland; and the Scottish government recently introduced much greater security of tenure for tenants. Apropos joint managing director David Alexander says: “Scotland has led the way in improving the rights of tenants and changing the relationship between landlord and tenant. Too often this relationship has been confrontational and divisive with each side pitted against the other. Rather than resolve any disputes or problems the attitudes and the regulations seem to be established to dispose of any complaint by a tenant rather than address it. The consultancy’s other joint managing director John Alexander is sharply critical of “doom-mongers who predicted the end of the lettings market” when the Scottish changes were introduced seven years ago. “But this did not happen: the market adapted, landlords were charged more, but the best agents and the best landlords adapted and realised that this was fairer for the tenant and, in the long term, created a better relationship between the two” he says. “Equally the ending of the no faults ground for eviction notices and introducing much greater security of tenure for tenants was feared by some in the property market as a sign of them losing control. On the contrary it gives agents, landlords and tenants the opportunity to develop a relationship built on trust, on fairness, and on developing a long-term relationship to their mutual benefit. We had rental step making out their gods gift because the only charge £20 for tenant find and nothing in tenant fees. This article seems typical of agents who work in high end areas who can rely of the fees from selling high value property to support their lettings arm. What ridiculous publicity garnering comments. Is it not reasonable that Tenants should pay legitimate costs, such as Reference checks ! Agree that some Agents have been taking eye-watering sums and scr*wing tenants, but Govt shouldn't have thrown baby out with the bath water. Very true, and well put. A cap would have allowed those of us who charge a modest sum to still carry on providing our service, whilst making the Agents who grab all the Landlords by charging them nothing, whilst shafting the Tenants rethink their business model and have to improve their service levels. Whilst morally I agree with a cap, logic is questioning whether something should also be done about Ferrari's 'extortionate' prices...sure, there are alternative/cheaper car manufacturers if I claim that I *need* a car, but there are also cheaper properties/cheaper fees elsewhere for when I *need* a house. Tenants are not forced to take a particular property, just as I'm not forced to buy a Ferrari I cannot afford. come on guys, we all know these regulations are for gaining votes, they are to make everything free for tenant as much as they can so long as we dont do anything. we got to get together to get an advocate to make it fairer but who is up for it? even the citizen advice bureau wanted credit for it. Charging fees to tenants is indefensible. An agent's client and source of income is the landlord. Charging fees to tenants promulgates poor practice by allowing agents to seek new business on a low landlord fee basis in the hope of making up the shortfall by taking what they can from the, essentially captive, tenant. Low landlord fees attract landlords who are reluctant to resource their obligations, and tenants have a miserable experience. Agents who provide a fully reliable and statutorily compliant service at an appropriate fee rate will attract responsible landlords willing to pay for a professional service. Tenant fees have been unlawful in Scotland since 1988 and the bottom hasn't fallen out of our world. On the contrary firms providing a reliable professional service are flourishing. That's the way to go. Can you explain to me then why there is no call for parity across many many other sectors where similar charges are made to the end user...brokers between lenders and homebuyers for instance? 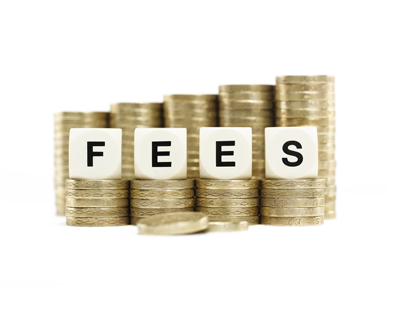 fees charge to tenants are for services rendered. so its fair. if you dont want to pay, dont use their services, full stop.